Wondering how to enjoy experiences with friends to the max? 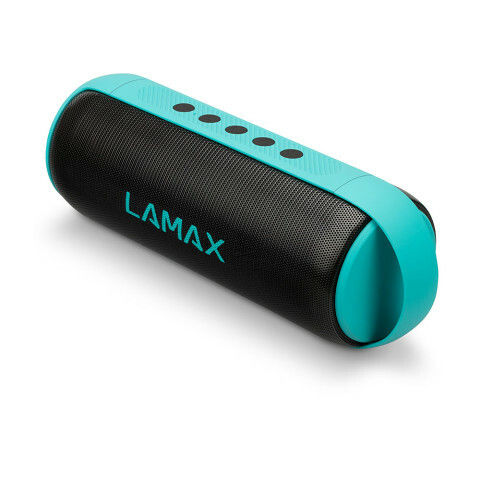 The LAMAX Vibe1 Bluetooth speaker is definitely for you. It provides the perfect soundtrack to every occasion, even a trip to the mountains or a tour of the waterways. To resist the elements, it comes equipped with an IP65 certified waterproof body. 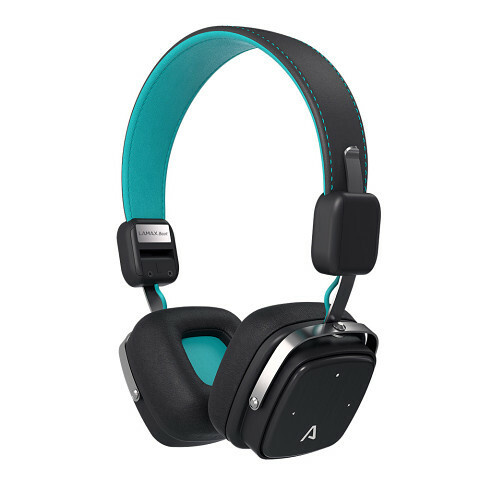 Playback time is up to 12 hours, plus there’s a microphone for handsfree calls and a practical strap for easy carrying. 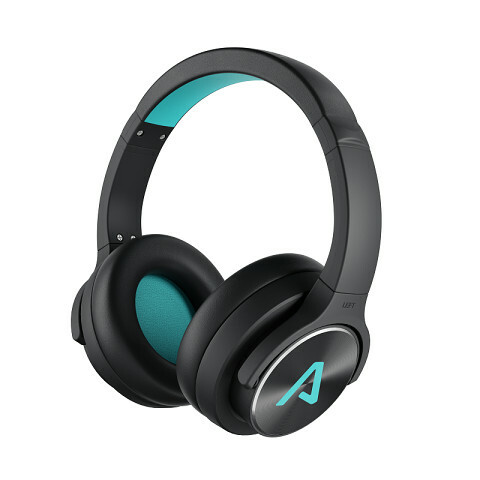 Take it out, connect, turn up the volume and take a private journey packed full of high-quality pumping bass. 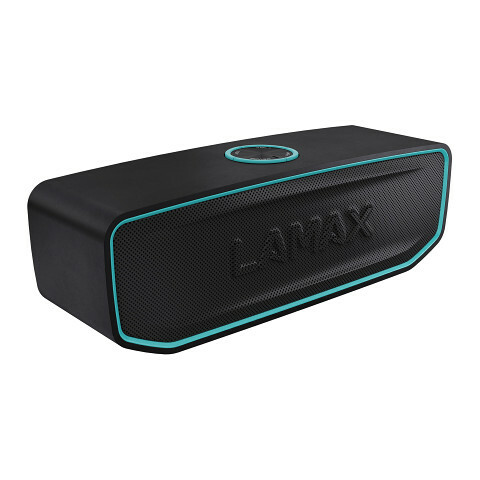 The LAMAX Vibe1 delivers your favourite tunes via two dual speakers with a total power output of 12 W. For extra deep bass, we’ve equipped them with a pair of passive radiators. 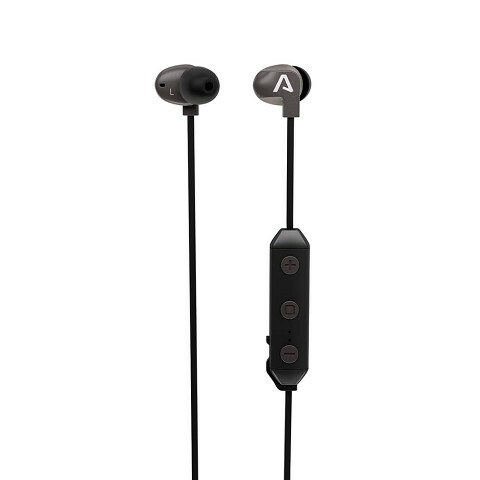 These absorb vibrations inside the body and send them out as deep bass line. Going away for the weekend with a bunch of friends? Or planning to travel the world? 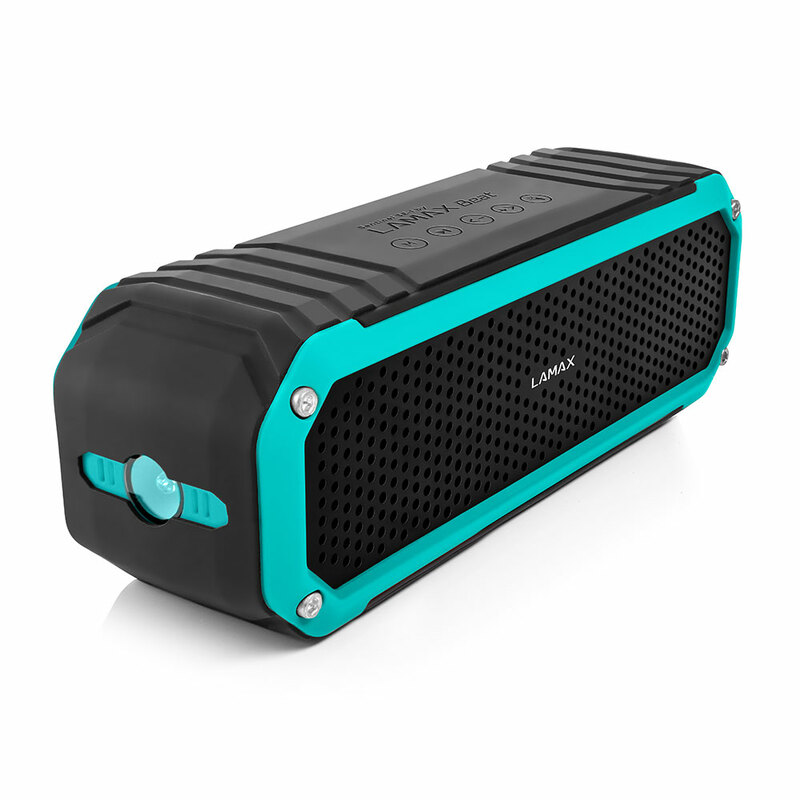 The LAMAX Vibe1 Bluetooth speaker will fit neatly into your backpack. On your travels, you’ll definitely appreciate how compact and lightweight it is. 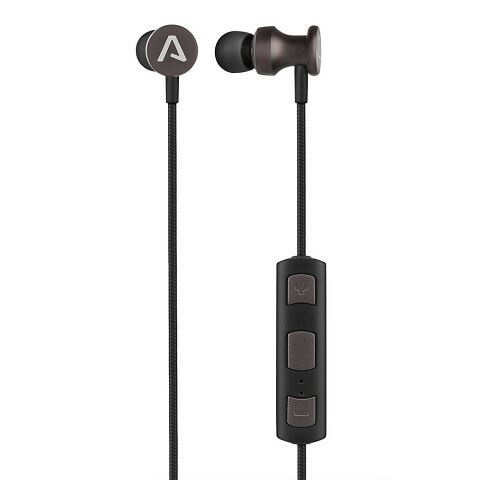 Ruggedly built with IP65 certification to resist water splash, you’ll be free to listen under all conditions. Enjoy a music listening marathon of up to 12 hours. The reliable 3000mAh lithium battery provides easily enough power. 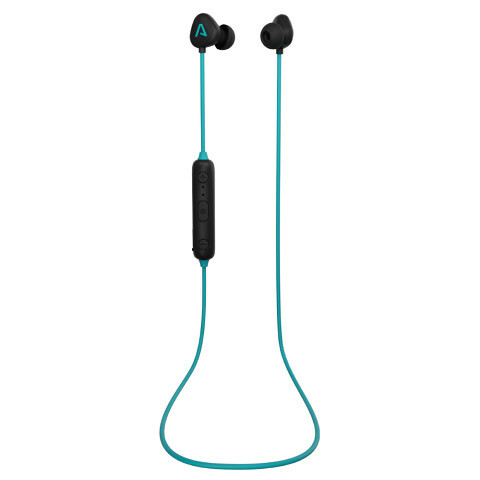 Bluetooth 4.2, with a range of up to 15 metres, connects to your phone or laptop. Handle calls handsfree thanks to the built-in microphone. Stereo speakers with a power of 12 W concealing passive radiators that deliver powerful bass. Simply one of the best sounds in its category. Entertainment without cables. 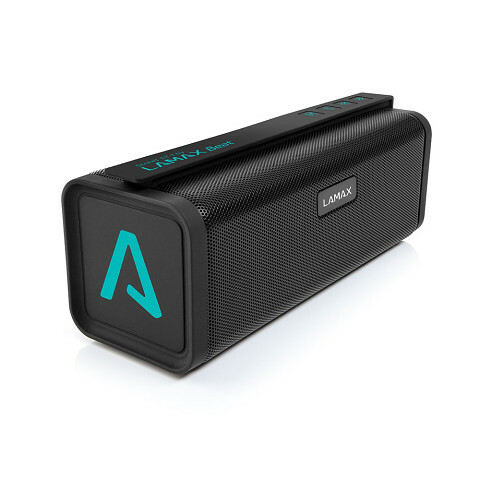 Bluetooth with a range of 15 metres give your music freedom. Take calls handsfree. 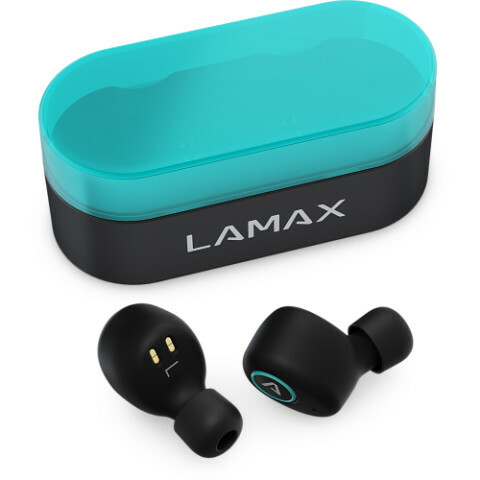 The LAMAX Vibe1 will aid you during a conference call or anytime you don’t want to hold the phone to your ear. With quality workmanship a few splashes of water aren’t a problem. 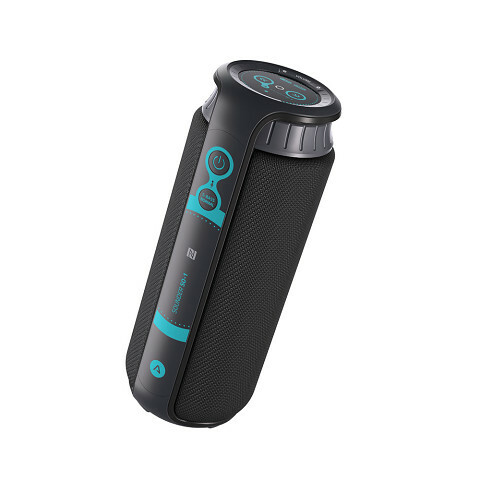 The speaker can handle water splash and rain. 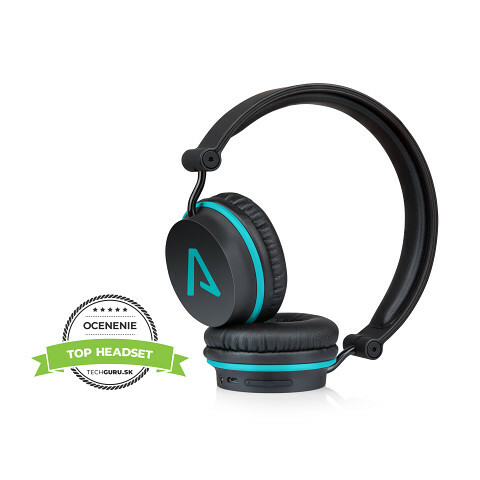 Plug all your non-Bluetooth devices directly into a traditional 3.5 mm jack. 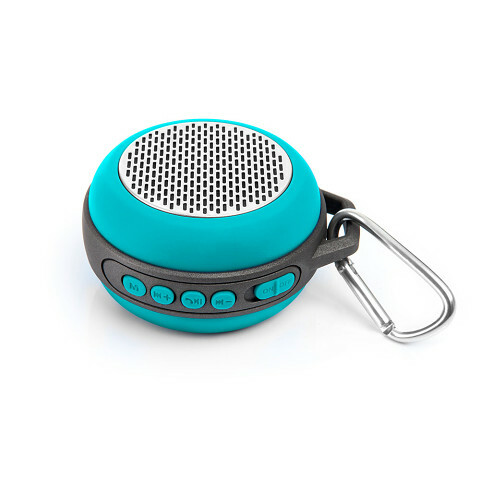 Power save mode puts the speaker into standby whenever it’s not connected to your smartphone for more than 15 minutes. A 3,000 mAh lithium battery means you can listen to your tracks for up to 12 hours on a single charge. Keep your phone firmly in your pocket. Adjust volume, change track, take a call or turn everything off, all directly on the speaker itself.